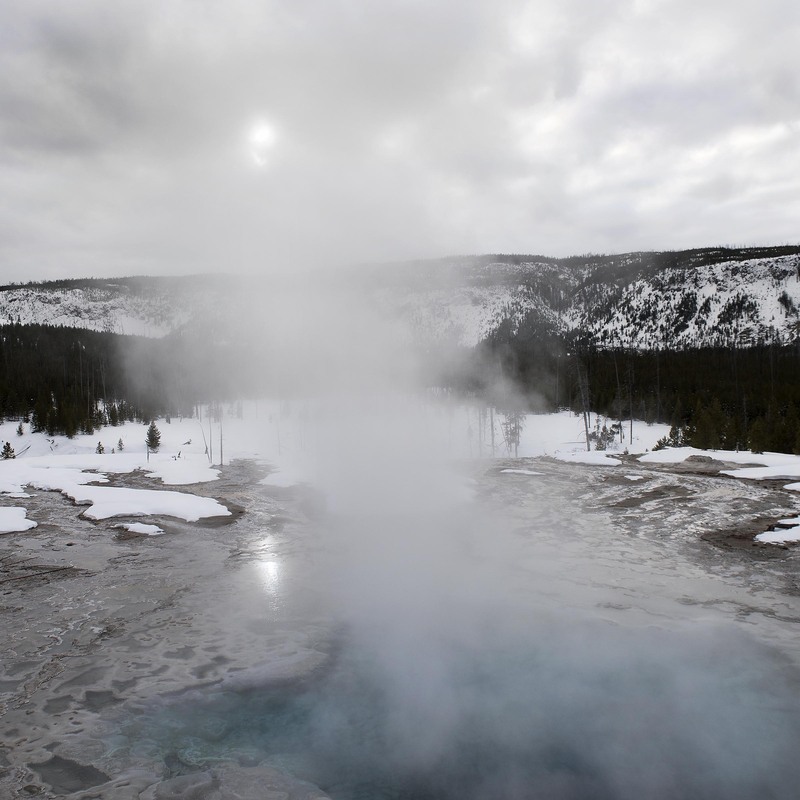 A beautiful thermal pool reflecting what little sun could find its way through the overcast afternoon sky. Yes, there can be color on a cloudy day. On the way back to the Upper Geyser Basin after skiing out to Fairy Falls. Yellowstone National Park, 2015. That’s for sure. Air too cold and water too warm. Eerie blue. The color of Arctic ice. Yes a very cold blue yet very warm water.